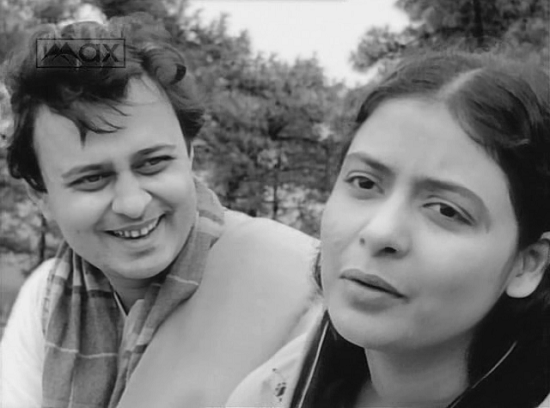 When the eminent American critic Jonathan Rosenbaum (from Chicago) introduced “The Cloud-capped Star (Meghe Dhaka Tara)” by Ritwik Ghatak in 2012 Toronto International Film Festival, he praised it lavishly and said that there is broad consensus that this film is one of the five or six greatest melodramas ever put on film. Ghatak can be regarded as one of the most neglected major filmmakers in the world. 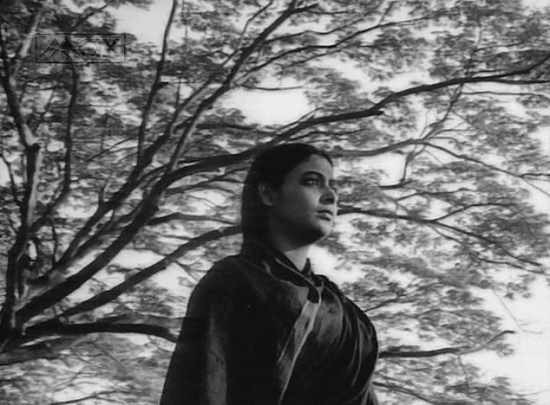 With The Cloud-Capped Star (1960), Ghatak took the melodrama genre along with its coherent, causally driven plot structures and relegated it as the backdrop of something much further removed from the conventional. Throughout, the personal is harmonized with the socio-historical condition, and this duality is a key component of the film’s accomplishments. Meghe Dhaka Tara is considered to be one of the finest Indian films ever made. 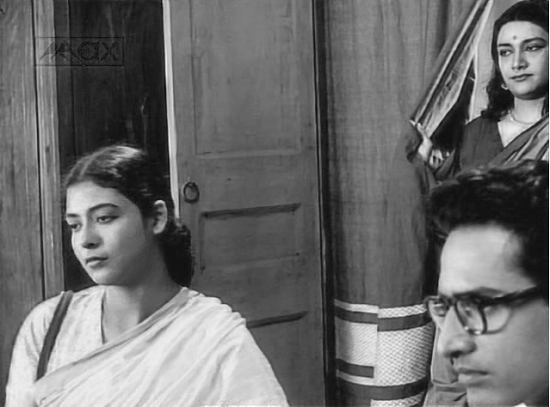 The Director Ritwik Ghatak was a contemporary of Satyajit Ray and was just as brilliant. But while the latter became the international face of Indian Cinema, the former remained comparatively obscure and under-appreciated. Ghatak led a tragic life - many of his films were unsuccessful, some remained unreleased for years and some had to be abandoned altogether. Beginning in the early 1960s, Ghatak suffered from alcoholism and mental illness. He was hospitalized for the first time in late 1965. For the rest of his life he was in and out of mental hospitals and psychiatric treatment. Ghatak's limited body of work was cut short by his untimely death in 1976 at age 51 due to alcoholism & tuberculosis. Meghe Dhaka Tara is regarded as his masterpiece. "Meghe Dhaka Tara" tells the tragic story of the beautiful daughter of a middle-class refugee family from East Pakistan, living in the outskirts of Calcutta under modest circumstances. The plot presents Neeta as a middle-class daughter encumbered by increasing demands to support her self-centered family members. She augments the income gained by her elderly father, while she moves toward the final year of her education. Her struggles are made bearable by hope, primarily founded on two loved ones—her brother Shankar, who admittedly takes advantage while waiting for his singing career to blossom, and her fiancé, Sanat, who pursues his Ph.D. as part of a promising future. Varied family members react in different opportunistic ways to their reduced status, and their need to survive, all of which takes an extreme toll on Neeta, who ultimately becomes the family's sole breadwinner. Neeta sacrifices everything for her family, including her personal happiness, her money, and her health, while her achievements are hardly ever recognized by the people around her. The performances throughout are excellent - Supriya Choudhury as Neeta is riveting, and Niranjan Roy is particularly strong as Sanat. 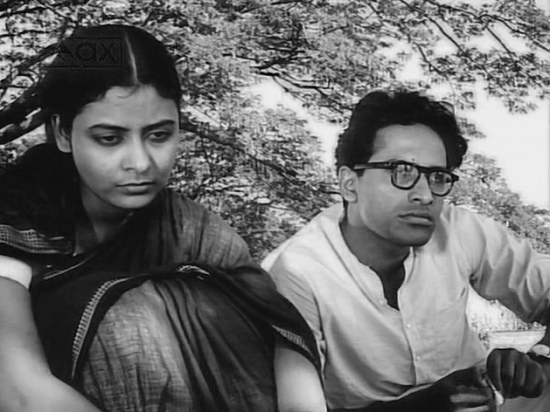 Ritwik Ghatak presents a visually sublime, idiosyncratically overripe, but provocative and deeply personal account of poverty, disillusionment, and exile in The Cloud-Capped Star. 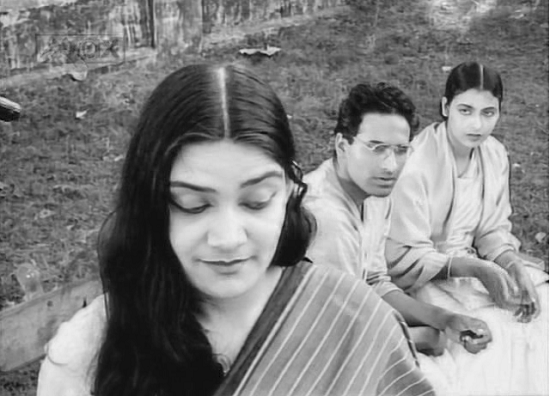 By interplaying light and shadows and incorporating evocative, aggressive sounds that underscore emotional impact and comedic tone, Ghatak creates a unique, sensorial experience that chronicles the systematic demoralization of the human soul: the surreal, foreboding shot of Neeta descending a staircase after she is compelled to leave her studies in order to support the family; the overemphasized sounds of cooking as the mother spies on Neeta and Sanat that aurally conveys her anger and fear at losing their primary source of income; the contrasted image of Neeta - first, illuminated in front of a latticed window as she reads Sanat's letter and later, concealed behind the window after Shankar's return; the sound of lashing as Neeta and Shankar sing a melancholic Rabindranath Tagore song (evoking Raskolnikov's dream on burden and responsibility in Fyodor Doestoevsky's Crime and Punishment). An allegory for the traumatic consequences of the partition of Bengal, The Cloud-Capped Star captures the disintegration of a Bengali middle class family as a result of dislocation, poverty, self-interest, and petty, internal division. The repeated imagery of a passing train bisecting the horizon alludes to the physical division of the family's ancestral homeland. Inevitably, as Neeta attempts to recuperate from the ravages of self-denial, want, and exploitation, her cry of anguish becomes an indistinguishable, resonant echo from the lost and irredeemable soul of a displaced and uprooted people. Throughout, Ghatak boils human nature and the survival instinct down to the most ruthless basics: this is a compelling and visionary film, but there is virtually no room for lofty ideals or sentimental altruism in the world created here - mourn what one must, and do what one must do to survive. Sentiment and ideals are - in this film - luxuries, and from the cruelty of such a truism, Ghatak has created one of cinema's great, vital tragedies. 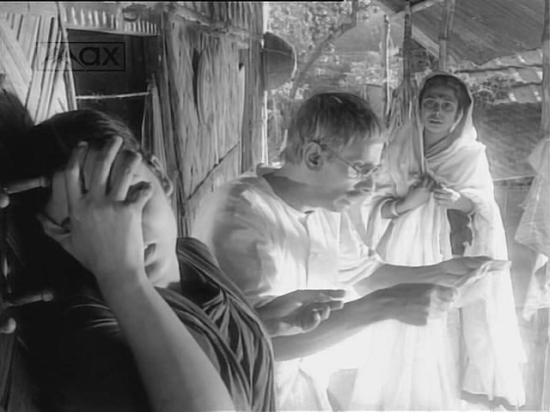 One example that may best exemplify the multi-level magic that Ghatak is able to muster can be seen at the beginning of the film. Soon after introducing Neeta, and incidentally her sandal that’s in need of mending, there is a shot transition to her house before she’s arrived where her father is discussing some dark-skinned neighborhood girl, this girl will appear in passing much later and exchange brief words with Neeta, after which the camera stays with her, not Neeta for an intriguing, introspective interval, and then later on and in passing, this small girl gets mistaken by Sanat as his sister whom he asks for money before realizing his “error,” and then, finally, when he doesn’t mistake her, and she pauses, recognizing him, and adjusts her sandal strap that just came loose, and then walks awkwardly down the path that Neeta did at the film’s beginning. There are many examples of inversions and mappings that take place and lend a resonating quality to this remarkable film. The Cloud-Capped Star is a master work that invites subsequent viewings and vital contemplation. Ghatak claimed few Western cinematic influences. Like Jean-Luc Godard in France and Nagisa Oshima in Japan, his primary concerns were historical and political, and also technical - how to alter cinema to express those concerns in accessible language? For Ghatak the solution was found in using outdoor locations, natural sound, idiosyncratic editing, and a minimum of the flash seen in Bollywood or Hollywood. Cloud-Capped Star is a bleak, absolutely gripping, tragic and infuriating. As drama, it would definitely rank as one of the more obscure global masterpieces out there, rarely seen or commented upon. This is highly unfortunate - as a film of moral/social outrage, this rivals Bresson; its' overall feel for the everyday reminds one of Italian neo-realism; it's willingness to experiment boldly evokes Godard or Oshima; in its concerns with the status of women (another of the many themes explored here), it evokes Naruse, Sirk or Mizoguchi. He didn’t change the world nor people, but he still lives in film-lovers' hearts for his brilliance, as 'a cloud-capped star'. ghatak da will always remain as the star of out eyes.the more I watch Bengali movies now,the more I miss exceptional film-makers like him.